University at Albany--SUNY is a public institution that was founded in 1844. It has a total undergraduate enrollment of 12,929, its setting is suburban, and the campus size is 610 acres. It utilizes a semester-based academic calendar. University at Albany--SUNY's ranking in the 2016 edition of Best Colleges is National Universities, 129. Its in-state tuition and fees are $8,996 (2015-16); out-of-state tuition and fees are $22,116 (2015-16). 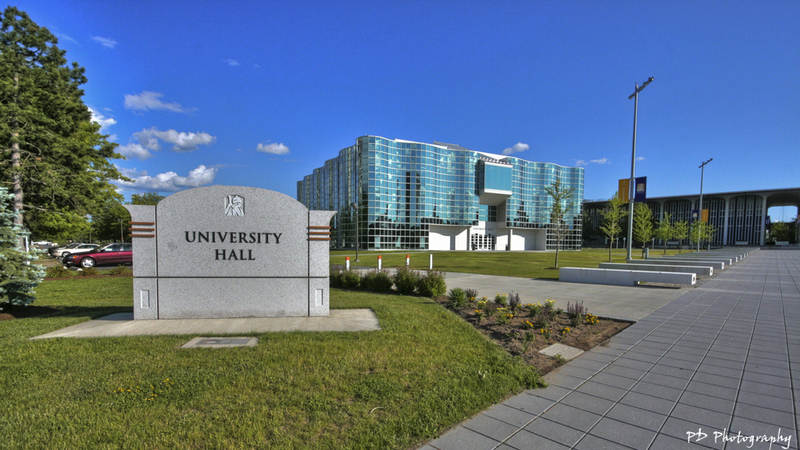 The University at Albany, which is part of the State University of New York (SUNY) system, is an institution that offers more than 50 undergraduate majors and about 120 master's programs, including those in the schools of education and business. Many of UAlbany's graduate programs are highly ranked, including criminal justice, social work and specialties offered in the Rockefeller College of Public Affairs and Policy. Ever since the school's early history, students and faculty have embraced Minerva, the Roman goddess of wisdom, as their symbol. Minerva appears on the school seal, and a 7-foot plaster statue of her has stood on campus for more than 100 years. UAlbany students get involved on campus by exploring more than 200 clubs, including several fraternities, sororities and recreational sports teams. Serious student athletes can choose from nearly 20 varsity teams, named the Great Danes, which compete in the NCAA Division I within various conferences. Notable Albany alumni include Harvey Milk, the first openly gay man elected to a major political office in America and the subject of the movie "Milk," starring Sean Penn. Strategically located in the state capital of New York, the University at Albany is a comprehensive public research institution that serves the distinctive needs of more than 17,300 students at the graduate and undergraduate levels. The varied perspectives and life experiences of a student body and faculty representing more than 100 nations provide a diversity that enriches learning at UAlbany. Students choose from 120 undergraduate majors and minors and 125-plus graduate programs. Many of these programs are ranked among the best in the nation. UAlbany's programs in criminal justice, information and technology management, public finance and policy, social welfare, public health, clinical and counseling psychology, reading, accounting, business administration and atmospheric and environmental science have earned national renown for excellence. In January 2015, New York State Governor Andrew M. Cuomo named the University at Albany as the location for the States first College of Emergency Preparedness, Homeland Security and Cybersecurity. The interdisciplinary venture will leverage programs, faculty expertise and strengths from across its eight schools and colleges and build on the Universitys innovative academic and research programs in areas such as digital forensics and homeland security. Also in 2015, the University launched efforts to develop an advanced weather observation system. The UAlbany-hosted statewide mesonet will provide extensive, state-of-the-art, 3D data to emergency personnel and first responders. The initiative is designed to support better planning for extreme and dangerous weather events, and will make New York home to the most advanced statewide network of weather stations and profilers in the country. UAlbany will also expand its academic profile through a College of Engineering and Applied Sciences, offering unique programs in computer engineering and other areas that will feed public-private partnerships and allow students to meet the demands of local industries. In addition, the University is deepening its institutional affiliation with Albany Law School, a 164-year-old private college. The association will provide a multitude of new opportunities for program renewal and innovative inquiry aimed at redefining how legal education will be delivered in the future. And continuing its commitment to public engagement, UAlbany was named the host institution of The Albany Promise, a regional, cross-sector partnership modeled after Kentucky's The Strive Partnership, where community leaders collaborate to support a shared cradle to career education vision and drive better results in education. More than 600 study abroad programs, available through the University and SUNY networks, expand the worldview of students and prepare them for the global economy. The location of UAlbany in the Capital Region of New York provides extensive opportunities for internships and public service through which students gain valuable experience and contribute to the greater community. Both the UAlbany campus and the region are bustling with extracurricular activities. Students participate in more than 200 student clubs, honor societies, and other campus related groups, and choose from a busy calendar of campus events, including spirited Division I competition in 19 sports and a rich array of cultural activities. UAlbany athletic teams have won 79 conference championships and have been to 34 NCAA tournaments in 15 years of Division I history. The UAlbany community extends well beyond the campus, with alumni in every state and more than 115 countries, many of whom continue to be engaged in the life of the University and contribute to its successes. Since its founding in 1844, UAlbany has graduated generations of leaders in all fields. Graduates join a network of more than 165,000 alumni making a profound difference around the globe.